Over all these years and all the boxing programs that have come, gone, and remained, I just can’t stop missing USA’s Tuesday Night Fights. Though it’s been 13 years since the weekly program ended, the memories are fresh in my mind as if I’d sat down this past Tuesday and watched Alex Garcia or Vinny Paz bang out another victim. You’d be hard pressed to find a fight fan that didn’t love the show. 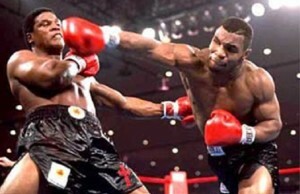 Its run was just shy of 16 years and featured some the biggest stars and world title holders in boxing. Some went on to gain world wide notoriety, some were local favorites and TNF regulars, and some just showed up for a fight or two and went on their way. 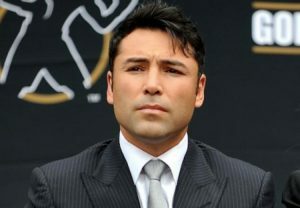 Bernard Hopkins, Roy Jones Jr., Oscar De La Hoya and Antonio Tarver are just a few of the big names that made their way onto USA before moving on to HBO, Showtime and PPV events. The shows hosts were Al Albert and Sean O’Grady. O’Grady was a former world champion and Albert, a professional sportscaster. Listening to these guys call the action was so much like listening to well-informed friends discuss what you were watching: always well informed and professional, but never so technical or detail oriented that the viewer would stop listening. You could tell these guys enjoyed what they were doing and called every fight the same whether it was a world title bout or two guys making their pro debuts. While the show wasn’t the hotbed of boxing news that Friday Night Fights is nowadays, there were plenty of extras to fill the time between fights. 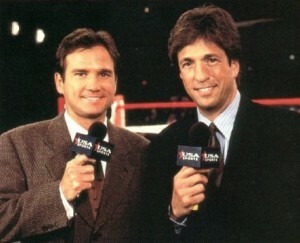 Segments like “Fightin’ Words”, Come Out Writing”, and “In This Corner” were regular parts of the show that lent a hand in entertaining the fans. On occasion, you could also find Sean out interviewing fans while they watched the bouts. Two things I really liked about the show were that they showcased regional titles and you saw “regulars” fighting on the program often. 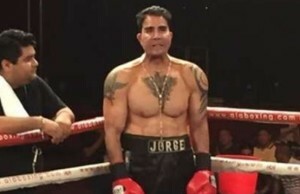 Rockin’ Rodney Moore, Vinny Paz, Alex Garcia, Butterbean, Larry Holmes and George Foreman on their comeback trails were seen quite a bit on Tuesday Nights. NABF and USBA regional title bouts were also a regular occurrence, something you hear very little of these days when title belts mean next to nothing. You’d be hard pressed to find any fight fan that didn’t like Tuesday Night Fights. It was a nice escape from the monotony of the regular work/school week when you didn’t want to wait for the weekend to get your boxing fix. It was a tough shot to take when USA announced it was canceling the program, citing the desire to target a new demographic. Tuesday Night Fights, the boxing fans still miss you! In 2003 CSI Sports acquired the rights to the TNF archives from NBC Universal and has since released two box sets of “Tuesday Night Fights Knockouts!”. Each set is 12 discs of some of the most exciting moments in the programs run. The programs were also shown on PPV for a short period of time. 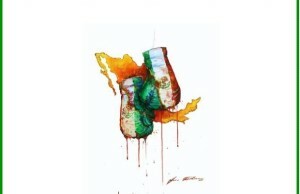 At one time held the distinction of being the longest continually running boxing program on TV.